Duration of contract: 6 weeks to 6 Months, it depends on the need of the Office. To be provided by the respective Supervisor and reflected in the Terms of Reference for the internship. Ability to work effectively in teams, adapt and integrate easily with the team, work cooperatively in support of team objectives. Ability to convey ideas and thoughts in a clear and convincing way in one-on-one discussions or groups presentations and ability to produce clear correspondence and written reports. Ability to effectively apply their knowledge and skills to the job, and to consistently learn and improve performance. Ability to show initiative and enthusiasm in their work, effectively organize and manage time, and deliver high-quality results in line with agreed objectives. Ability to innovate and find new ways of working and improving results while maintaining a strong service orientation. Ability to take ownership of assigned responsibilities, to be productive, fulfill commitments and use resources responsibly. The duration of internships is limited to a minimum of six weeks and a maximum of six months. No remuneration of any kind is offered, nor are any travel or subsistence expenses covered. Interns must provide proof of adequate health insurance; UNAIDS will provide accident insurance coverage only. Persons with immediate family members employed by the UNAIDS Secretariat are not eligible for internships. Applications from people living with HIV are particularly welcome. Applications from women and from nationals of non- and under-represented member states are particularly encouraged. Any appointment/extension of appointment is subject to the Staff Regulations and Rules of the World Health Organization (WHO) adjusted, as necessary, to take into account the particular operational needs of UNAIDS, and any subsequent amendments. Note: The paramount consideration in the appointment, transfer or promotion of staff is the necessity of securing the highest standards of efficiency, competence and integrity. The medical criterion for recruitment is fitness to work in the particular post. 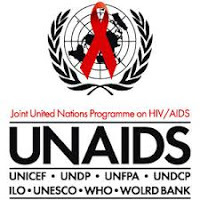 The United Nations HIV/AIDS Personnel Policy clearly stipulates that no staff and/or potential candidates shall be discriminated against on the basis of real or perceived HIV status. HIV infection, in itself, does not constitute lack of fitness to work. There is no obligation to disclose HIV-related personal information. Online applications are strongly encouraged to enable UNAIDS to store your profile in a permanent database. Please visit UNAIDS’s e-Recruitment website at: https://erecruit.unaids.org. The system provides instructions for online application procedures.